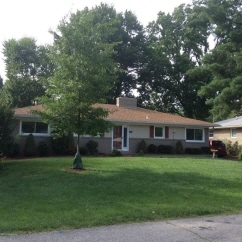 Description: Spacious one story ranch with full sized finished basement. New 1st floor laundry, second laundry in basement, hardwood floors, new furnace, new driveway, new shaded deck, new triple pane windows with lifetime warranty. Updated kitchen with stainless steel appliances including gas range, newer ac, gutters and roof. New r-42 attic insulation. Newly finished basement with carpeted tv room and separate rec room. New main sewer line from house to msd line. Data believed correct but not guaranteed. Buyer to verify data prior to offer. Agents read agent remarks.